When Chef Courtney Contos declares a new favorite, I listen. She's been extolling the virtues of the Open Arms Food & Juice Shop since Acoy Cofino reopened the spot last month. On Saturday afternoon I brought take-out to Contos' store for a healthy ladies' lunch to finally give it a try. Cofino prefers that customers call ahead for take-out to allow him and his tiny staff to craft their meals or drinks without a wait. Since I didn't do so, I ended up in line for a while. But once Cofino was able to take my order, he told me lunch would be ready in 10 to 15 minutes. It was less than 10 minutes before I had food ready to go. 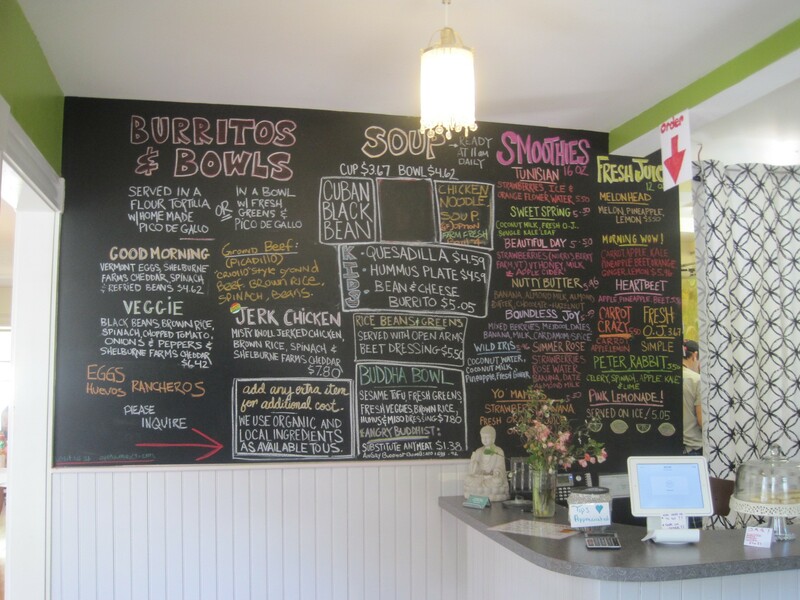 Since the café opened the first time in 2008 (it closed in 2010 when Cofino's wife, Samantha, was diagnosed with breast cancer; she's now healthy), the Buddha Bowl has been a trademark dish. A pile of soft brown rice is the centerpiece of a wreath of colorful veggies — beets, carrots, tomatoes, red cabbage, cucumbers and spring greens. Call it American bibimbap. 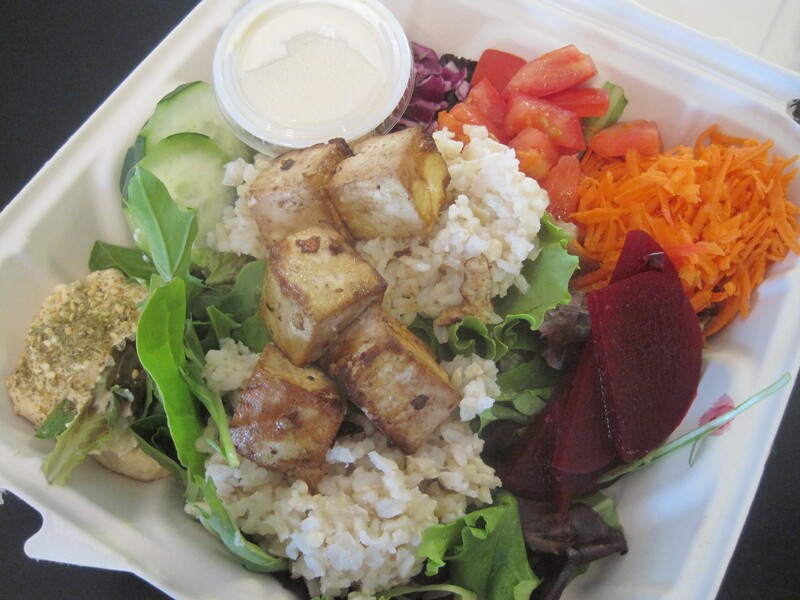 The default protein is sesame-marinated tofu, but it can be replaced with any meat available that day for an upcharge. A mild miso dressing stands in for the gochujang that would flavor a real bibimbap. I wouldn't have minded stronger flavors from both that and the tofu, which had a mysteriously fishy flavor. But the Buddha Bowl had one advantage you wouldn't find in Korea: Cofino's hummus. With just a hint of garlic, lemon and chickpeas dominate the spread for an uncommonly refreshing taste. I would likely return just for a hummus plate. I went to lunch hoping for Cuban-style local pork, which, I soon learned, Cofino was having trouble sourcing. But I'm already craving his jerk chicken burrito again. 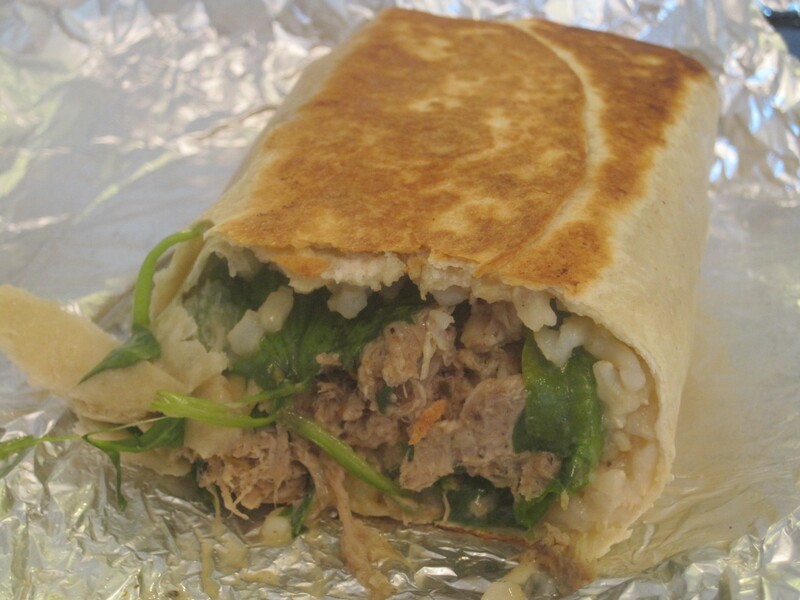 Cofino stuffed the soft flour tortilla, griddled crisp on either side, with brown rice, spinach, Shelburne Farms cheddar and pulled chicken. The Misty Knoll Farms bird was lightly coated in the jerk sauce from Nectar's, a recipe originating from Negril. Cinnamon and a subtle burn of spice built in an exceptionally tantalizing way. I looked forward to the transforming gifts of each bite. I'm a sad mark for any food item flavored with flowers. 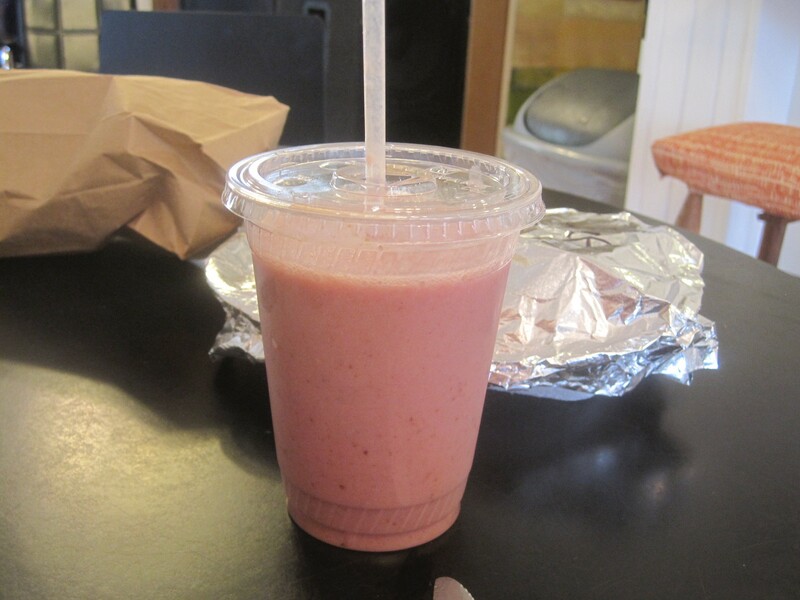 Not surprisingly, Open Arms' Summer Rose smoothie won me over. The medium-thick drink would have pleased me anyway with strawberries, bananas, dates and almond milk. But just a wisp of rose wove its way around my taste buds with each sip. For a ladies' lunch, it couldn't have been more appropriate. But I don't need the help of a girlfriend to take advantage of a delicious smoothie — or a well-balanced burrito.